Mivec Owners Group • View topic - I'm back! Anyway, after regrettably selling my 1996 RS to fund me moving to the UK in 2009, I came back to NZ in early 2017. 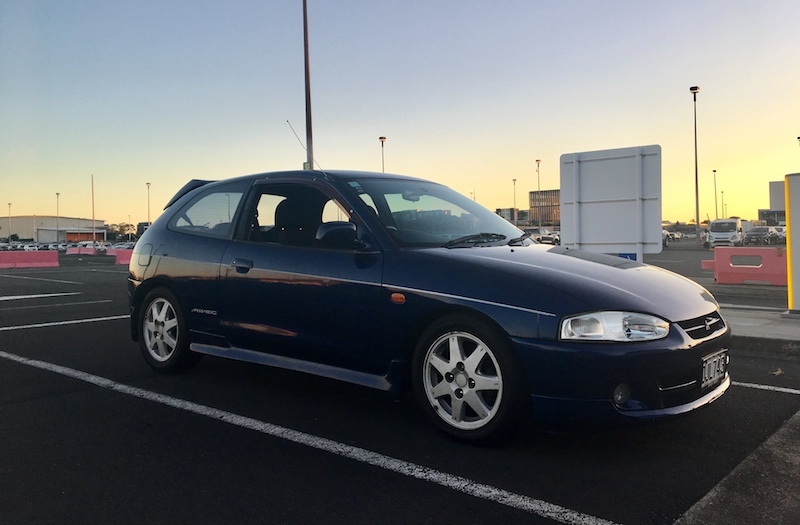 After pottering around in my Mum's old car for a few months, I spotted (and eventually bought) a 1999 Cyborg ZR hatch. So that's MIVEC #3 then. Minus points: It's spent a lot of its life baking in the sun, it appears to be running quite rich (suspect dodgy thermostat), and it's tiptronic. But heck, the minus points are all fixable. Being that I'm now a nearly twice the age I was when I bought my first Cyborg, I scooped this up as a keeper/garage project, though it is the daily driver at the moment. I see there's still a few of the old guard kicking about on here, which is cool. @Cameron, your red RS looks incredible. I'm moving down to Welly for a new job in June, so be keen to see you race!